Cornish blue cheese works beautifully in this flavourful recipe from Delia Smith. 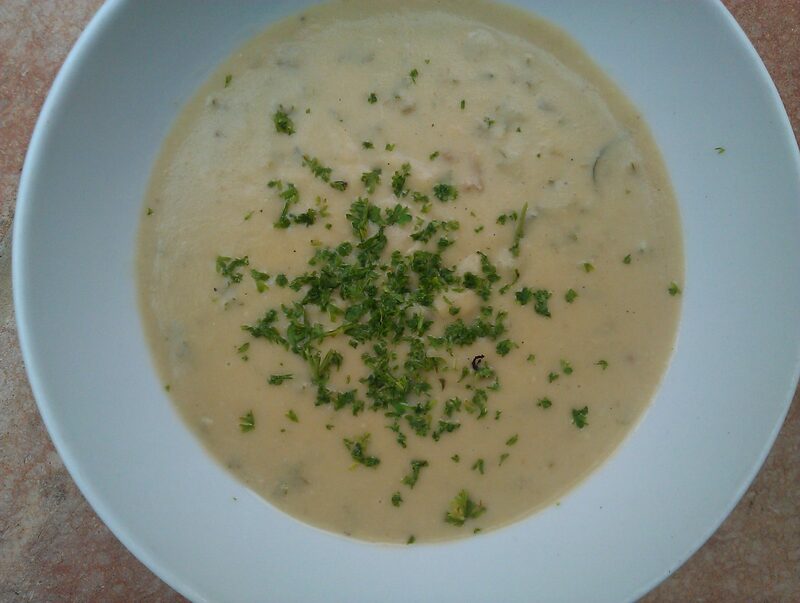 The celery in our veg boxes this week comes from St Kew Harvest, whose artisan bread would be delicious with this soup. 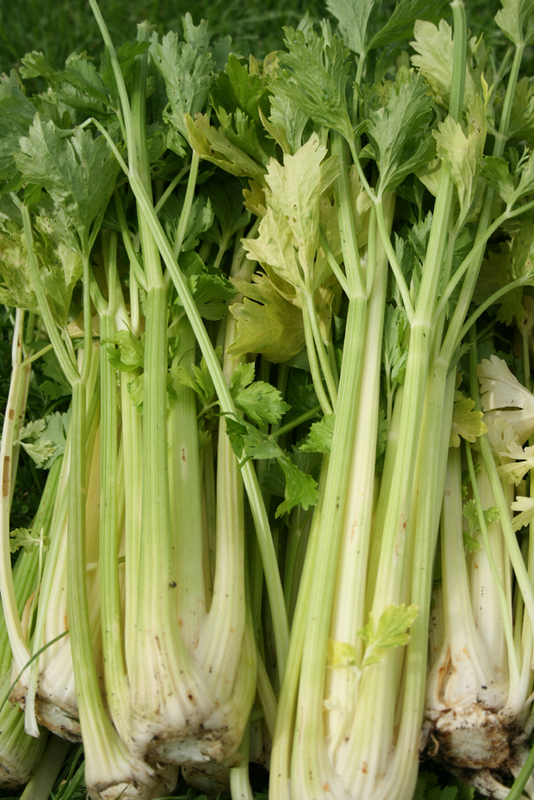 First of all separate the stalks of celery from the base and trim, reserving the leaves for a garnish. Scrub them in cold water, drain them, then slice across into thinnish slices. Now in a large saucepan melt the butter and stir in the celery, the chopped potato and the onion. Stir everything around to get a good coating of butter, then put a lid on the pan and, keeping the heat at minimum, allow the vegetables to sweat for 10 minutes to release their juices. Then uncover, pour in the stock and bring it up to simmering point. Cover again and cook gently for 30 minutes: after that test that the vegetables are tender and, if not, re-cover and continue to cook until they are. Next remove the pan from the heat and stir in the cream, then liquidise the soup along with the crumbled cheese until it is quite smooth. Return the soup to the rinsed-out pan and re-heat very gently. Taste and season with salt and pepper.